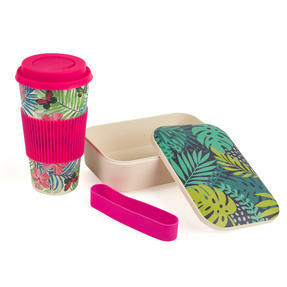 Enjoy your food and drink on the go guilt-free with this Cambridge Lunch Goals lunch box, made from eco-friendly bamboo. 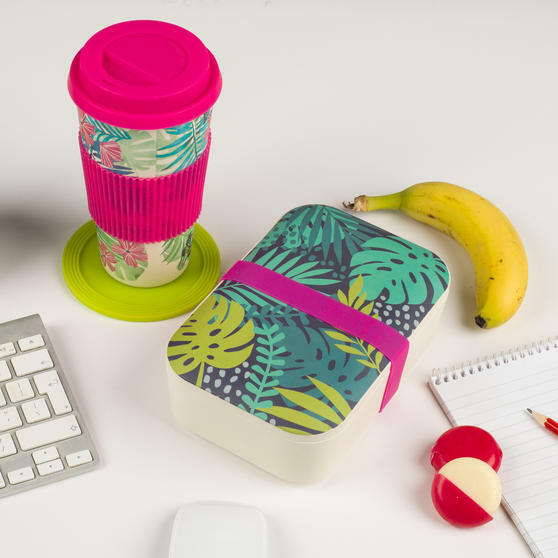 Lightweight, durable and dishwasher safe, the lunch box features a colourful illustrated leafy design with a vibrant pink silicone belt to secure the lid. 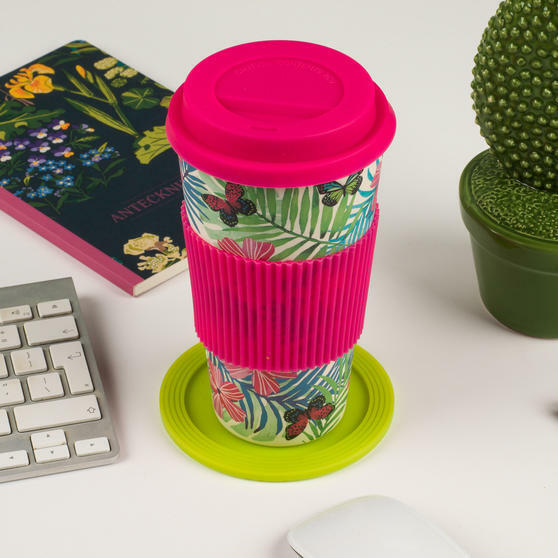 The cup has a top diameter of 10 cm and is ideal to slot into your car cup holder, plus it has a silicone sleeve and lid for extra grip so you can easily carry it on the go. Perfect for healthy lunches and snacks on the go. 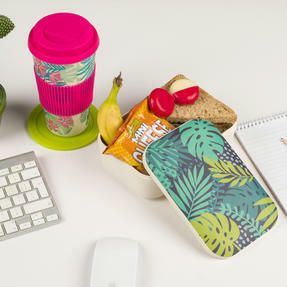 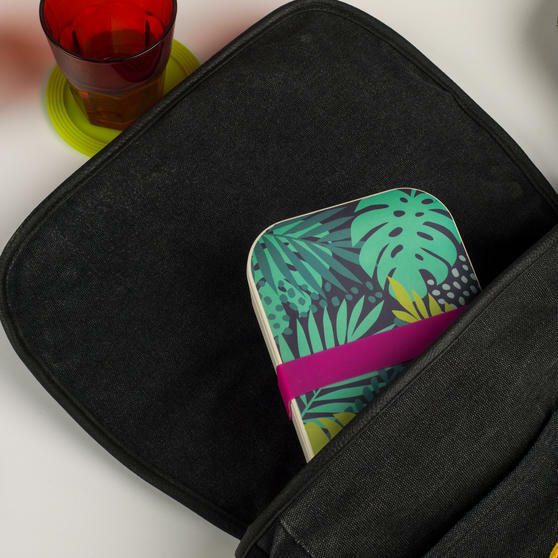 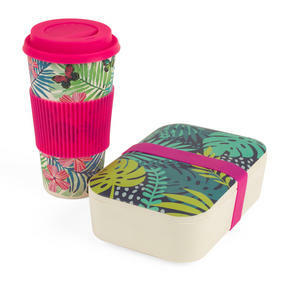 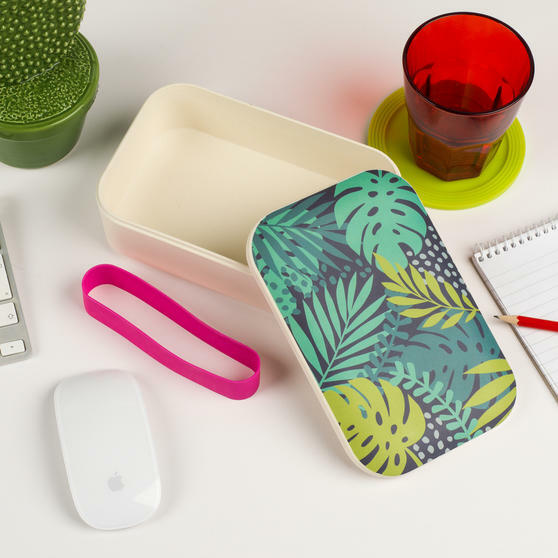 Brighten up your lunch break with this Cambridge Lunch Goals bamboo lunch box and Tropical travel cup set, featuring colourful designs. 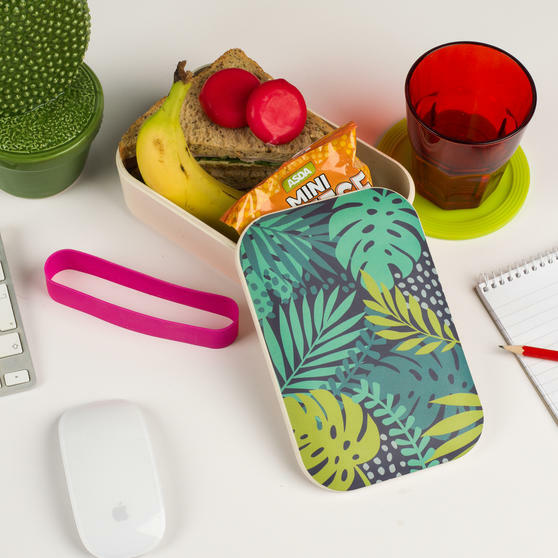 Generously sized at 19l x 12.5w x 5.5h cm, the lunch box is perfect for healthy portions, stylish food storage and lunches on days out. 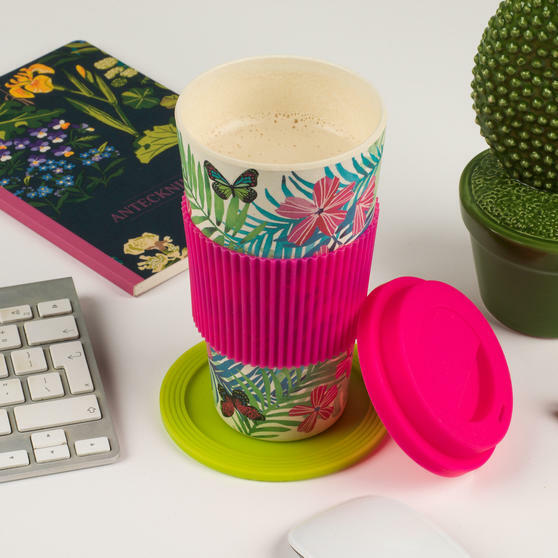 The cup is sized with a top diameter of 10 cm, comfortably holding 560 ml, perfect for a coffee on your commute.